Happy Thursday all! Here are some lovely and very inspiring images and crafts to carry you through the rest of the day. Enjoy! 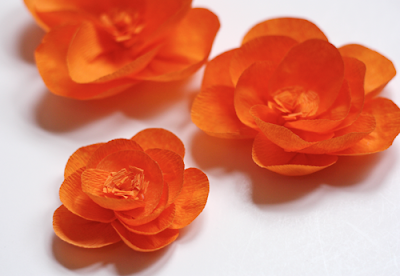 Learn how to make these Crepe Paper Flowers over at How About Orange! Learn how to make these Tiny Polaroid Magnets over at Ambrosia Girl! Learn how to make this fancy (and easy) signage over at Family Chic! See other ways that Doilies can be used over at Grace and Ivy! …Bacon Toffee… ‘nough said. Find the recipe over at Cherry Tea Cakes!